The cloud has matured considerably over the past several years. Early adopters were largely risk-tolerant startups and small groups at enterprises running low-risk or net-new, “cloud-native” workloads. 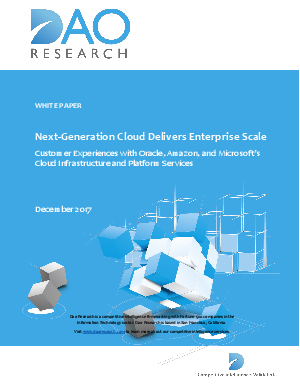 With the proof of success from these pioneer use cases, enterprises are more interested in achieving cloud benefits with their more complex, enterprise-scale workloads. This has forced an IT strategy conversation around cloud services.